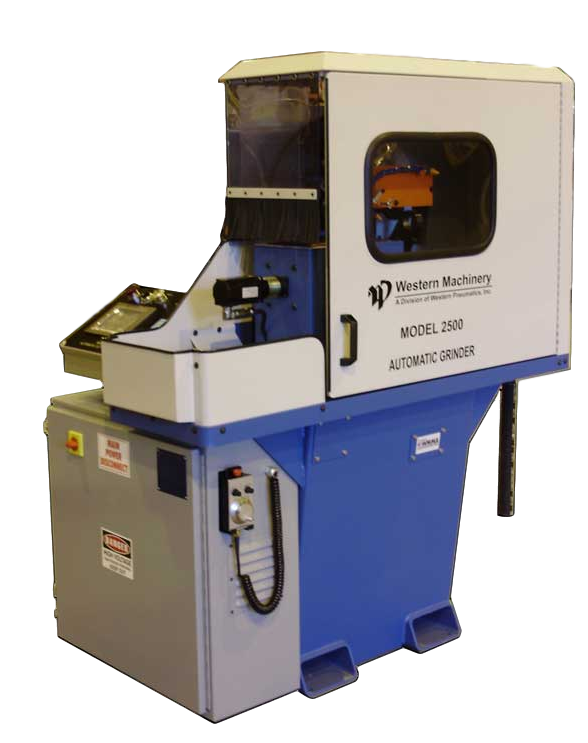 The model GR2500 is a fully automatic grinder with new "Quick Change" arbor system features. The table travels automatically using a linear ball screw actuator. 4th axis to automatically feed the grinding wheel down. The mechanical probe indexes from the cutter and is simple to setup. The carriage traverses on a heavy duty linear recirculating ball nut and rail system. The grinding wheel automatically infeeds the amount the operator selects. New programmable wheel wear compensation feature. There are 10 savable cutter grinding scenarios for quick setup. AC frequency inverter allows infinitely variable speed selection between 1725 and 3450 RPM. Workhead travel, cutterhead rotation and wheel infeed are all controlled by Servo Drives allowing for a more precise grind.